Carmen Manor is a stunning mid-rise, great for those looking for the downtown feel in an established, coastal neighbourhood. Our suites feature laminate flooring and carpet, modern window systems that are energy and sound efficient, and fantastic balcony views. Whether you bicycle or drive, we have space for you to park both outdoors and underground. 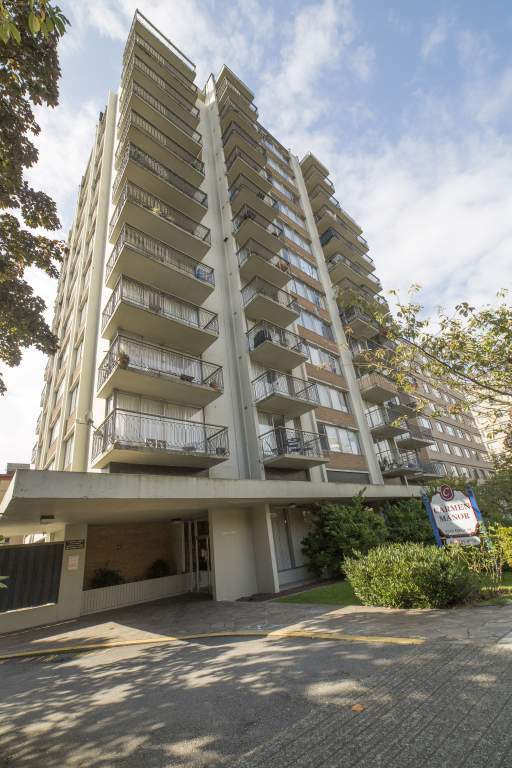 Nature lovers and active residents will appreciate our convenient location which is within a few blocks of English Bay Beach, a well-known sandy beach and recreation area. The Stanley Park Seawall runs along the beach on the east side- great for runners, bicyclists and walkers. There are also several nearby parks including Alexandra Park, English Bay Beach Park, Morton Park, Nelson Park and the famous Stanley Park. Rainy days can be filled by visiting The CF Pacific Centre, the Vancouver Art Gallery or the Scotiabank Theatre, all only a quick drive away. Residents can dine out with ease or catch the latest box office hit at The Scotiabank Theatre just minutes away.